Slip, Trip and Fall – Do You Have a Case? The general perception that slip & fall accidents are really due to the negligence of the “victim” are wrong. When people hear “Slip & Fall”, they tend to picture someone who may have fallen due to their own carelessness and is now trying to seek a quick payday. The property and/or business owners (the party that would be held responsible) are counting on this misguided public perception to discourage someone from looking deeper at why they just fell and injured themselves. Slip, trip and falls are due to more than just liquid spills and banana peels. Even though a slippery surface is dangerous and can cause serious injury, it is only negligence on the property owner’s part if there was reasonable time to pick up the spill and nothing was done about it. Another very common, but much more subtle cause of a slip and fall is design flaws on the property. There are building codes in place to provide a safe walking area for people on a property. Even though property owners are aware of this, many of them choose not to make the required renovations or changes in order to meet safety standards. This laziness on their part not only puts people at risk, but is also a building code violation and shows negligence on their part. Some of the more common building violations include Handrails that don’t meet requirements, Interior and exterior surfaces that are not leveled (creating a tripping hazard), an obstruction within the entrance-way, an uneven ramp or stairways with no landing (the flat surface at the top of the stairs that someone stands on). There is a reason why you tripped and fell. When climbing up or down stairs, it seems like we can mentally go into autopilot. We know the steps are there and once we’ve determined the movement needed for the next steps, we just go. This is one of the reasons there are very strict construction and design guidelines that must be met when building stairs. There has to be a consistency with the depth of the steps and each rise of the next step. This “flow” in design is called Dimensional Uniformity. An inconsistency in the flow of the design is not just a code violation, but a tripping hazard for anyone that may not notice one step is a little shorter or higher than the others. Keep in mind that these guidelines are enforced because those one or two inches do make a difference and have been proven to be enough to make someone lose their balance. Why you need legal representation. There are generally two defenses that property owners will take in a slip and fall claim. The first is to show they were not negligent. If the fall was due to a slippery surface then they will claim that it happened moments ago and they did not have time to clean it up. The second will be to show that the person who was injured was actually at fault due to their own carelessness. It is bad enough when a person has fallen and injured themselves due to the possible negligence of another party. To then be blamed by the negligent party and then accused as the careless person only makes it worse. 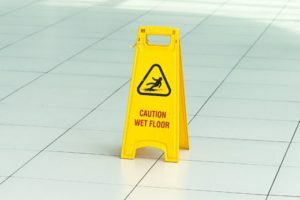 A victim of a slip and fall accident needs a law firm that understands the research and attention to detail these cases truly need in order to be successful. Contact the Fort Lauderdale accident attorneys at MADALON LAW and speak to one of our slip and fall lawyers today for your free consultation.